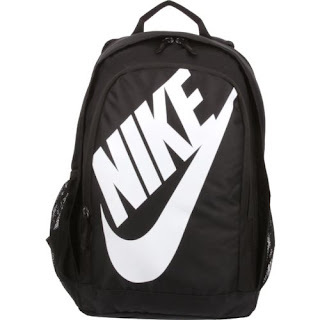 Hurry over to Academy Sports and Outdoor where right now this Nike Hayward Backpack is only $29.99 (Reg. $39.99)! Shipping is FREE. Great for transporting your gear, the Nike™ Hayward Futura 25M Backpack is designed with a spacious main compartment, an internal organization panel and an exterior zip pocket. This backpack is made of nylon and polyester for durability and features a top strap and adjustable shoulder straps with mesh backing for convenient transport. Padded back panel. Spacious main compartment features a sleeve that can accommodate laptops up to 15"
Item can be purchased in store as well.